Somewhat dissapointed by the one-type-fits-all setup, especially as it applies to a GXP system. The conversion kit included plastic hubs, extra washers, a shim washer, and a spring washer. Just a lot of extra junk added on, which could wear out or collect gunk, all extra maintence concerns. After everything was installed and torqued to specifications, the system was sluggish. I’m told it will eventually break in to get smoother, but not reassuring as to what’s breaking in or wearing out with so many extra washers and hubs and such. Tried multiple times to talk with Chris King customer service with no luck. This bottom bracket is excellent. Make sure to purchase correct conversion kit with this. It will not work without secondary purchase of kit. These parts used to be supplied with bb in the past, not anymore. 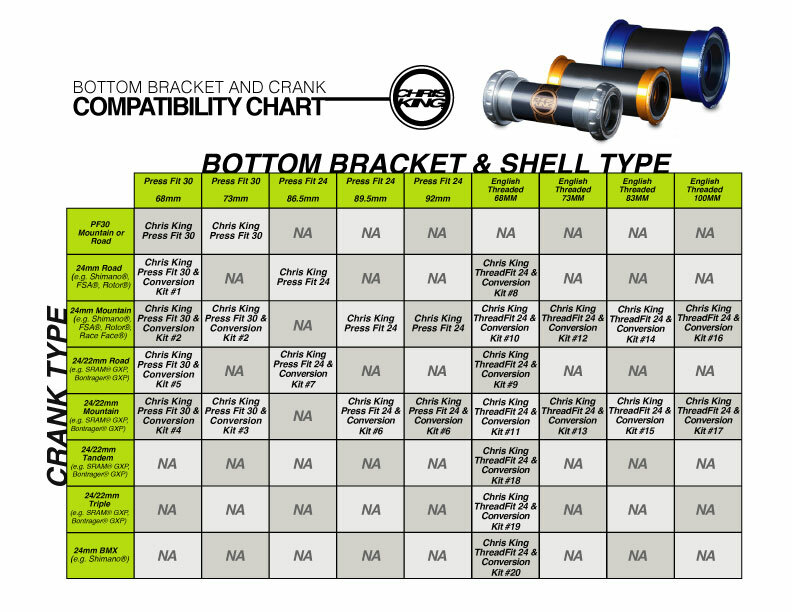 There is a high level of confidence that comes with a high quality component and on top of that made in the USA! You get what you pay for! This piece works great! What can you say about Chris King's bottom bracket that isn't already implied just by the name alone. It's the best you can buy, period. 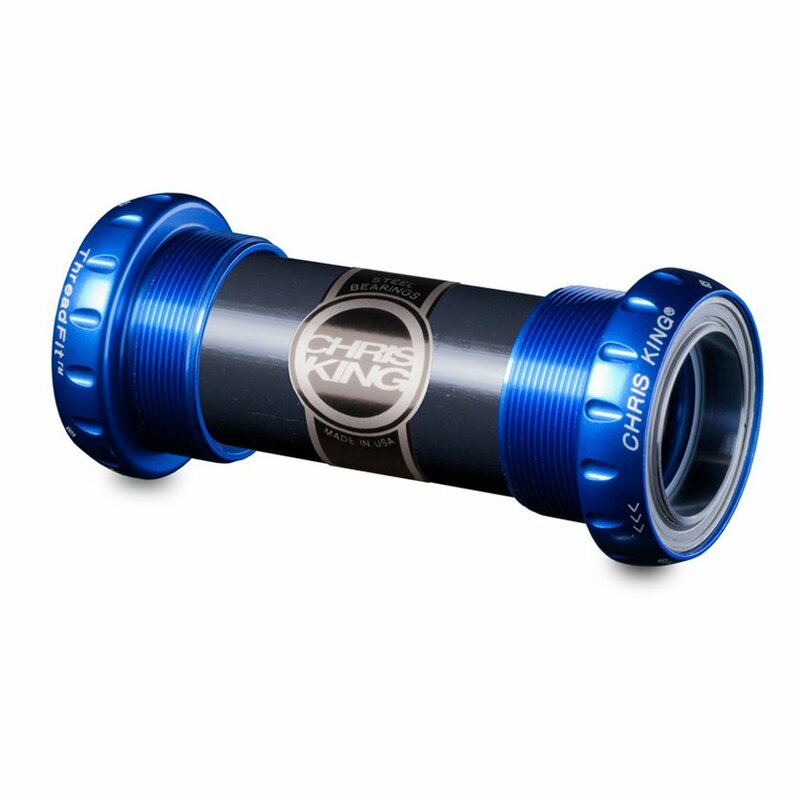 Beautifully made by an ecologically responsible American company, easily serviceable and it works exceptionally. 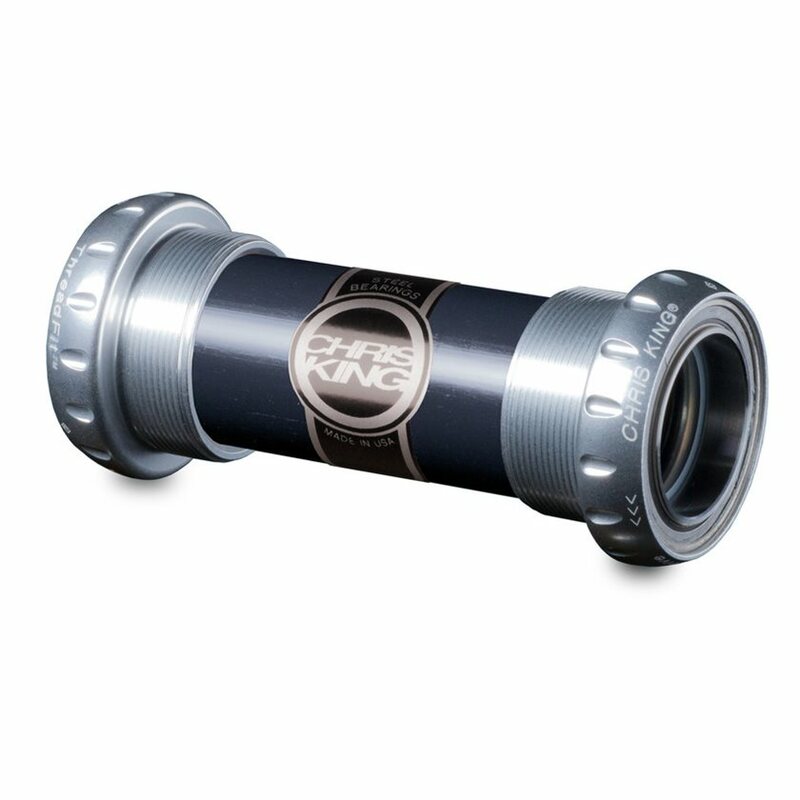 Will the Chris King Threadfit 24mm Bottom Bracket with the conversion kit #8 fit a 2013 Wilier Granturismo (68mm English) currently running a FSA MegaExo BB and FSA SL-K Light compact crank?